That is precisely what the WalkOn Flex does. It helps lift the foot during the swing phase, so that the gait becomes safer again while the risk of stumbling and falling is reduced. The tip of the foot no longer gets caught as easily on small obstacles or uneven ground. 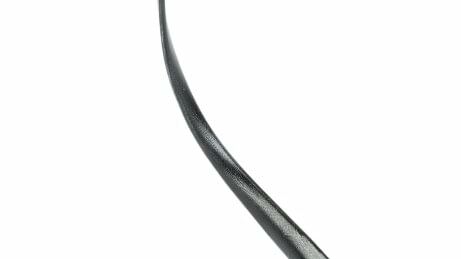 Thanks to the material (glass and carbon fibre composite; Outlast) and its special design, the WalkOn Flex is particularly well suited if you want more flexibility in the ankle and knee. 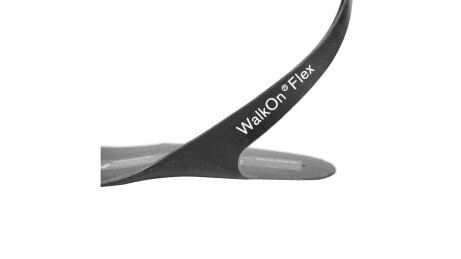 If you have adequate residual musculature – this is where your doctor or orthotist will assist you with detailed advice – the WalkOn Flex will provide you with good support, especially also on uneven surfaces. 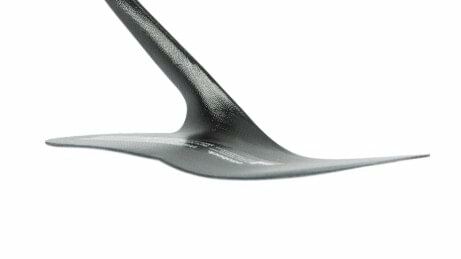 The coil spring connects the lower leg shell to the foot component. 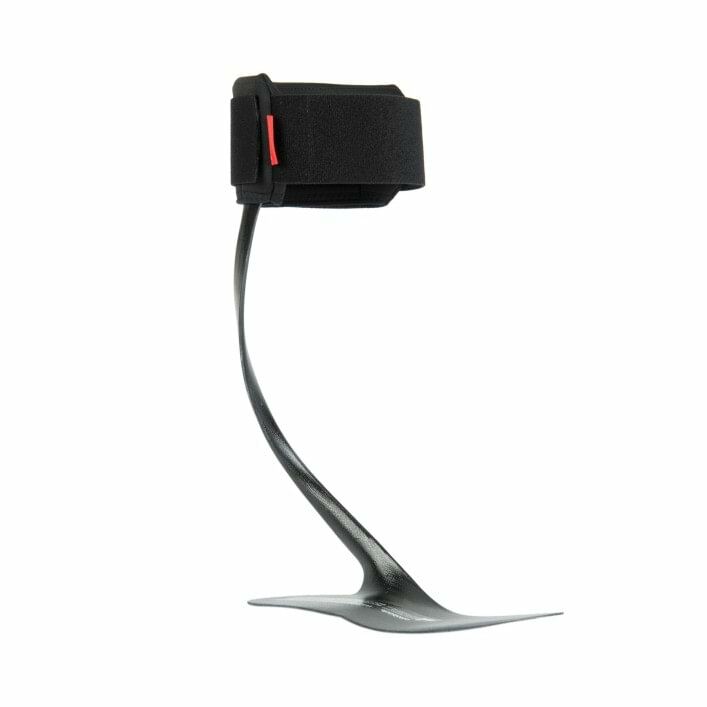 It permits higher flexibility at heel strike and promotes a dynamic rollover while walking, with fewer restrictions in the ankle joint. The calf pad is on the lower leg shell. 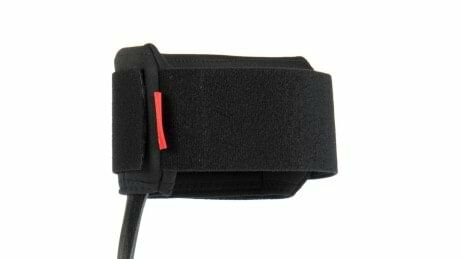 It consists of a climate control material (Outlast) and can be easily applied to the leg with a hook-and-loop fastener. You gain safety because the WalkOn Flex supports and lifts your foot in the swing phase while walking. The risk of getting caught with the tip of the foot, for example on carpet edges or uneven ground, is reduced. Provided the physical requirements are met, the WalkOn Flex enables more mobility in the ankle joint and knee. This makes it easier for you to walk on uneven surfaces. The orthosis also provides moderate support during the rollover movement – just the way you need it. You can move naturally with the WalkOn Flex during the day. When you crouch down or walk up a set of stairs for example, you can put a natural load on the forefoot. The WalkOn is ideally suited for numerous everyday situations. The orthosis fits in any shoe that provides support. You should merely ensure that the shoe has a reinforced heel. To put on the orthosis, you should position the WalkOn Flex in the shoe and then slide in your foot. The WalkOn Flex is especially robust. It has proven its durability in tests and long-term function testing. The WalkOn Flex is recommended especially in cases where dorsiflexion capacity decreases following sustained activity (muscle fatigue). The WalkOn Flex is suitable for indoor and outdoor use by users who have a stable ankle joint and no impairment of motor control of the knee. The indication of dorsal flexor weakness frequently occurs after a stroke, traumatic brain injury, multiple sclerosis, neuromuscular atrophy or peroneal paralysis. Is it possible to take part in sport with the WalkOn Flex? It is not possible to make any specific recommendation. You must be able to safely control any vehicle for which you require a driving licence and insurance, or which is used in traffic. This ability when wearing a WalkOn Flex is determined on a case-by-case basis. You are required to observe national and state laws.